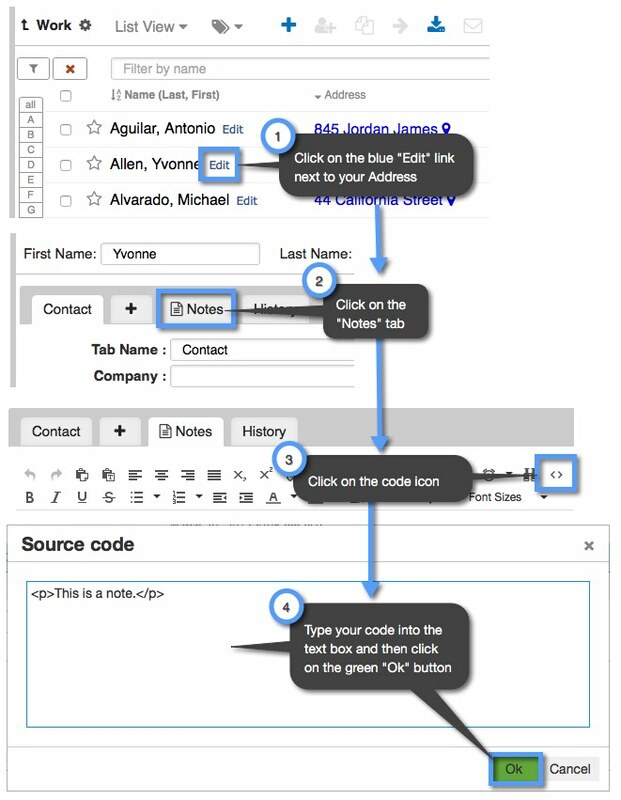 You can insert custom code into the “Notes” section of your addresses. The “Notes” section is primarily used in address for any additional details you might need to fill in about your contact that are not previously covered in the contact information fields. Once you have made your changes, all you need to do is click on the “OK” button at the bottom of the pop-up dialog to see your changes reflected in your application. However, be sure to click either the “Save” or “Save and Exit” buttons on the left-hand side of the screen to save any changes that you have made.